Imagine waking up to the ocean breeze rustling through the garden, the smell of freshly breakfast wafting in your room and the morning sun streaming in your window. As you finally come round. Imagine waking up to the ocean breeze rustling through the garden, the smell of freshly breakfast wafting in your room and the morning sun streaming in your window. As you finally come round, the hardest decision you are tasked with is beach day, or pool day? That is what a holiday in Barbados is like, long walks on the beach, stunning sunsets and a lot of sun. Make the most of this beautiful country at Green Monkey House, a four bedroom villa that is situated in a cul-de-sac just 200 yards from Gibbes Bay, St Peters. This villa is a charming home away from home that has plenty of homely touches to help you settle in and relax. The four bedrooms are all spacious and offer lovely natural light. Each room offers plenty of storage, so the Barbados wardrobe can be ready to go at a moment's notice. There are also four bathrooms at this villa, so forget arguing over who gets a shower first. The living spaces are all open plan, letting the sun and breeze flow through the home from the living room to the kitchen and dining room. While the kitchen is well-equipped and a decent size, you will rarely have to lift a finger as the house cook prepares breakfast, lunch and dinner – there's even a housekeeper. This is, after all, the life of luxury. All of this is set amidst a lush, tropical garden so you can truly embrace the Tropicana experience. The outside area fully embraces the location, with a private pool welcoming you for a daily dip and a pool deck featuring a wooden table, chairs and an umbrella – all set for meals outdoors. Green Monkey House is a 4-bedroom single storey holiday home, just a short walk from Mullins Beach. The villa is surrounded by lush greenery and the interior is also home to some indoor plants, so you and your guests will certainly feel like you're staying in a tropical retreat. There's no better tropical getaway than the vibrant, picturesque Caribbean island of Barbados - the sunsets are stunning, the beaches renowned and the locals are as warm and welcoming as the climate. Stretching just 21 miles, there's no reason not to explore all of what Barbados has to offer, from the UNESCO-listed old part of the vibrant capital, Bridgetown, to some of the greatest natural treasures on the island Harrison's Cave and Farley Hill National Park. Barbados is a place that embraces the slower pace of life, everyone takes in the moment. It's not hard to relax when the weather is lovely all year round, It averages over 3,000 hours of sunshine each year, and it is treated to prevailing northeast trade winds that create a light breeze, so it's rarely unbearably hot. This villa is located on the West Coast, near Gibbes Bay. With some of the most beautiful and popular beaches and beach clubs at your fingertips - there's nothing you will be left wanting. 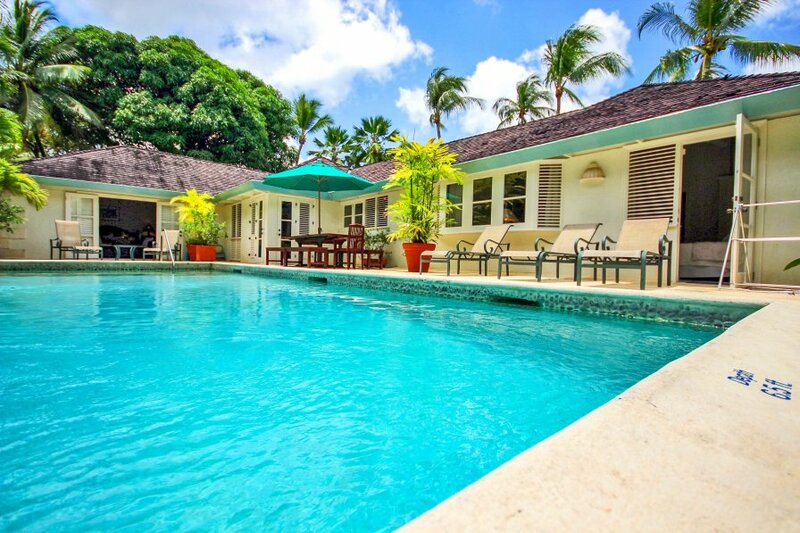 This villa is just 2-kilometres from Speightstown, one of the island's major towns that has a rich, long history and plenty of character. The town, which is also known as Little Bristol, is the second major town in Barbados and is also one of the busiest ports.